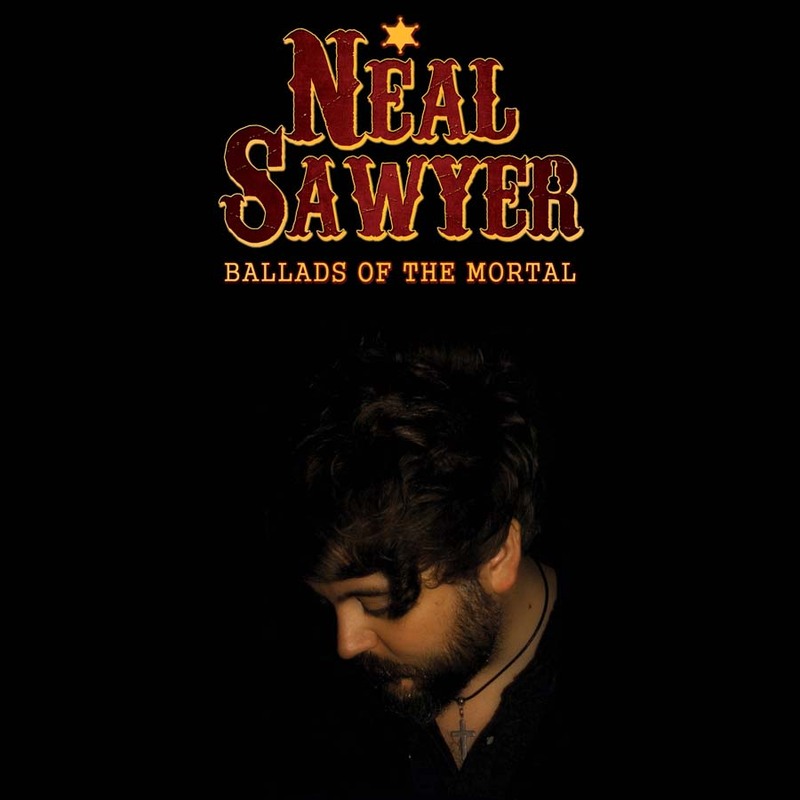 Cannock songwriter Neal Sawyer is proud to announce the release of his debut solo album, ‘Ballads of the Mortal’, which will be available to buy on the usual digital platforms from April 5th 2019 on the Salvation Recording Company label. ‘Ballads of the Mortal’ is his long anticipated first solo album, the culmination of Neal’s decision to work on solo projects since 2016. Previously Neal was founder member and lead singer of the successful indie rock band, ‘Guile’, which played sell out gigs locally, nationally and in Europe. Following the demise of the band, Neal continued to write intelligent, poetic lyrics and to compose music, liberated from the restrictions inevitable when working with a band. Neal set out with a determination to create a unique body of work which would set a new direction in music for this decade. Neal himself describes his music as ‘Gothic Country’. Spending most of his time in his lock-up Great Wyrley, an isolated, disused and dilapidated ex-mining building, Neal worked with remarkable tenacity until he felt ready to release his music to the world. This was a solo project in every sense. Neal wrote, recorded, edited and played all instruments on this album. Drawing upon a wide range of influences including Tom Waits and Nick Cave, Neal adopted a forensic approach to his music; endless hours of revisiting and re-recording, continually exploring, experimenting and selftutoring. Once ready, Neal trusted his music to be mixed and mastered by the highly regarded engineer, Gareth Rogers, who immediately agreed to become involved. The result of pure talent harnessed to stubborn determination, has enabled Neal Sawyer to become a master of his craft and to achieve a musical milestone. ‘The Ballads of the Mortal’ stands as a fitting monument to his tireless efforts.